No need to beg or bribe the kids to get to sleep if they have this rather magnificent chalet hut style bed. 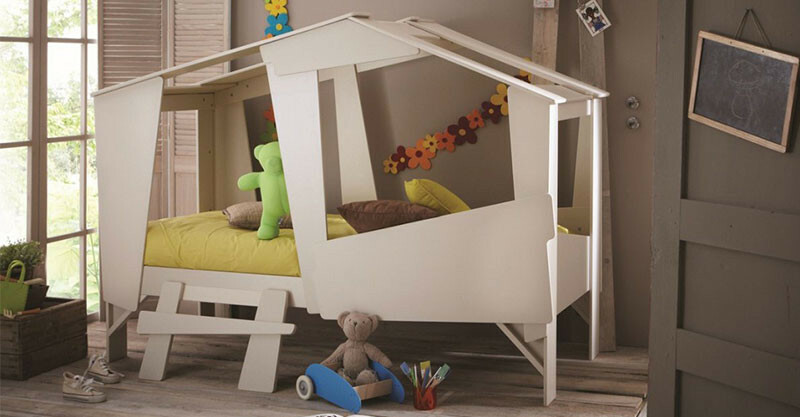 More than a bed, the Lit Cabane bed (€555) from French store Camif, doubles as a play space, a reading nook and a fun chalet style cocoon to just lay back and relax. Such a construction isn’t likely to be shipped to Australia, but we’ll admire it all the same. Made from sturdy MDF and painted white, a step helps smaller children climb up and in – though it’s recommended only for children aged four and up. The Lit Cabane bed is the perfect canvas for children to hang string lights and dream catchers from the pitched roof, feathering their nest with all of their favourite things to really create a space to call their own. 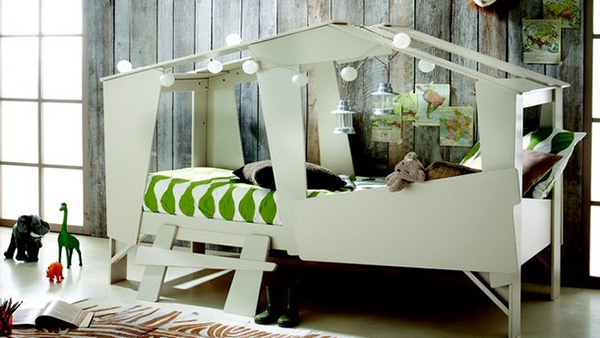 For more beds that are a little out of the ordinary, be sure to see our Kid’s Factory post.